Here comes Less Wordy Wednesday! Today I’m featuring a group of critters who popped out of the water to brighten your day. See the captions below to find out what they’re really thinking or saying to each other. 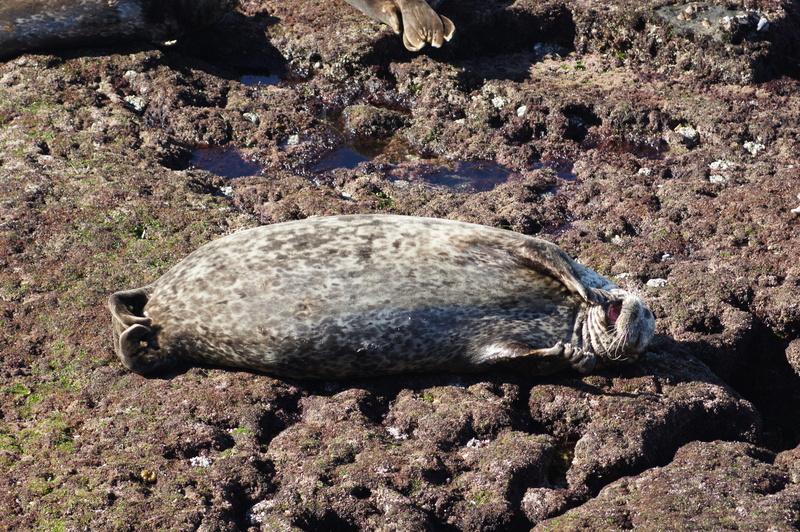 We’ll start with one of my favorites–the seal. 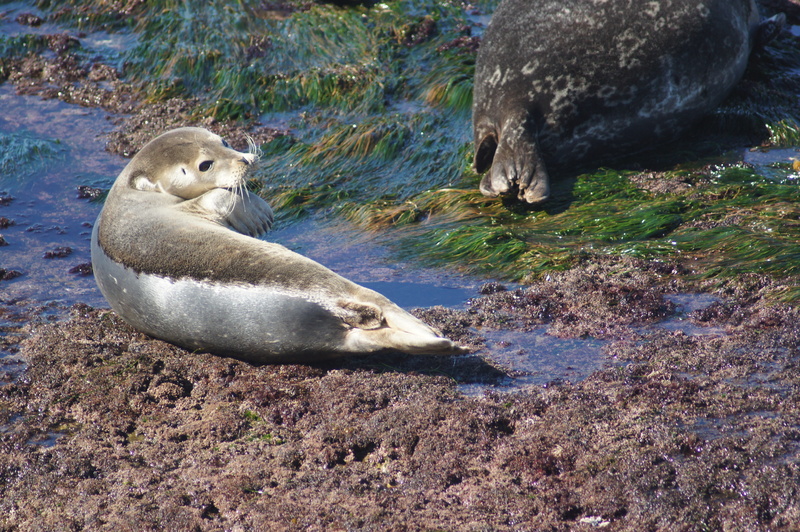 These photos were taken in La Jolla, CA and by the number of pics I’ve posted you can tell they weren’t camera shy. Oh, great. Look over there Stella, Bob’s having trouble pulling himself onto the rocks. Am I going to have to help him … AGAIN? Jeez, I just got dry. I can do this. I can. I just wish everyone would stop staring. It’s the kelp. Yeah, it’s the kelp’s fault. It’s just so slippery. Hey, is Leroy laughing? Bob, buddy, you’ve gotta hit the gym. Maybe do a few push-ups or something. You’re like a limp fish over there. Even the mollusks are laughing at you. 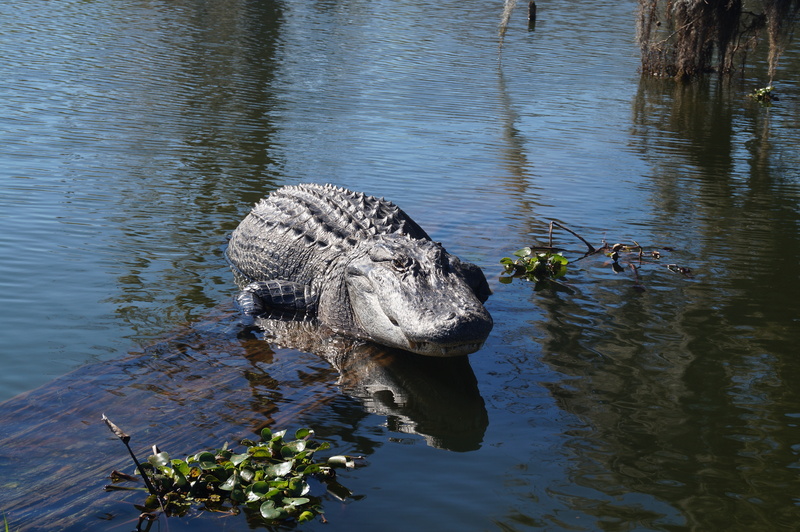 Another character that was all too happy to pose for the camera, although we were a little fearful, is the Louisiana Alligator. Um, this was not taken with a zoom lens. We were in a small boat out in Cajun Country and our guide reassured us that it was too cold for the gators to eat (it was February). Right after that he informed us the gator could be in our boat in seconds if he really wanted to. Very reassuring. I will say he didn’t move at all, I’m not even sure he blinked. Different from the ones we’ve seen kayaking in Georgia and the Carolinas, but that’s a whole other story. And now, the best for last. They’re not really the prettiest creatures and they’re not really hard to come by. The experience was just so bizarre I had to include it. 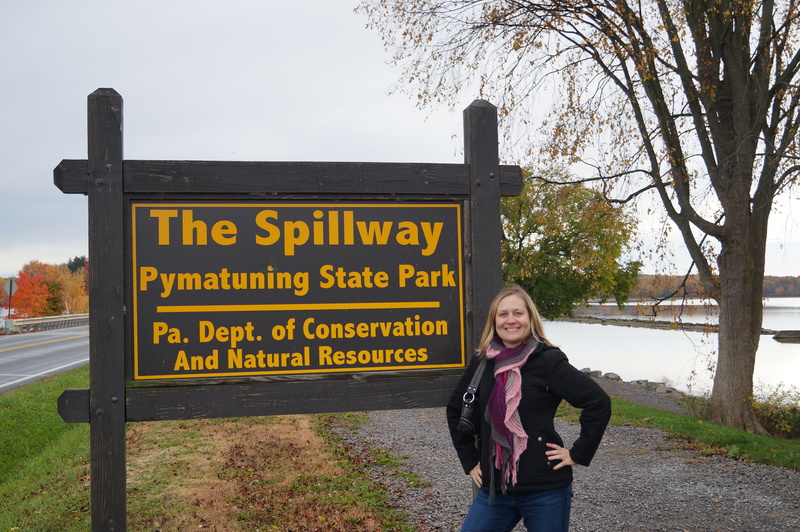 The carp at The Spillway in Pymatuning State Park, PA. I love bread. Me too! Especially when it’s devoid of all nutrients! Hey, does anyone up there have Twinkies? Ooh, yeah. Or Cheetos. Those are my favorite. This is an actual attraction listed in my travel book. People flock here to toss bread to the carp that have found themselves hanging out in the spillway. 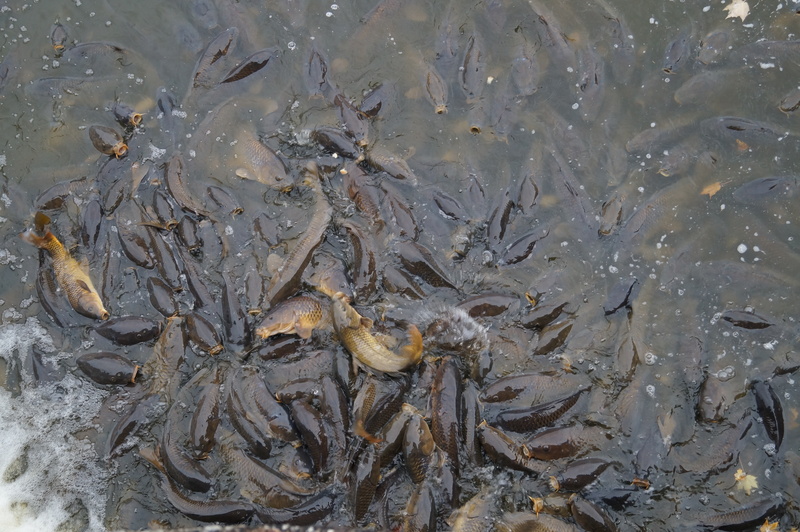 The carp become so thick that ducks supposedly walk across their backs trying to nab a bite of bread. We did not get to witness this, but it was still somewhat entertaining. Bread is sold along the highway and even at the local liquor store. From what I understand, a few years back the parks people became concerned with the nutritional deficiencies that could be caused by eating loaves upon loaves of Wonder Bread. They decided to install those pellet machines, where you can by a handful of pellets for a quarter. Well, I guess the people were not having this–they wanted to toss bread and bread alone. I love your photos, and nature is my favorite thing to photograph. However, I am still in the process of learning how to compose a great photo, and I realize I have to get off my rump and explore a bit more in order to avoid taking photos of the same, limited subjects. Nice job, and funny captions! Nature is definitely fun to photograph, but not always very cooperative. I’m still learning too and it seems sometimes you just have to get lucky. And it is great to capture new subjects, but I still find really cool stuff in my backyard too. My favorite close encounter was off Jupiter Beach in Florida where I was just about a foot from a Manatee. That day was also my scariest encounter with a humongous Manta Ray that few out of the water and slapped down much to close to me for my comfort! Ah, the ocean, you never know what is really in there and how close it is to you! Yeah, the ocean kind of creeps me out. Notice there were no pictures where I was actually in the water. I blame my fear on Jaws–that movie has scarred me for life. If I had to choose between the manatee and the manta ray sneaking up on me, I would definitely prefer the manatee. They just look so sweet. I love the expression on that croc’s face! He looks so sweet and trustworthy. But somehow, I don’t think I’d want to get too close! Yeah, I think that’s how they lure you in. These were pretty docile and maybe it was because it was chilly out. The ones I’ve encountered in the summer were much more active and way less trustworthy. Yeah, I tend to humanize animals a lot. I even worry about earthworms’ feelings.